Harley-Davidson® Men's Shovelhead Short Sleeve Tee Shirt, 30294026. One of the most celebrated Harley-Davidson® motorcycle engines was introduced in 1936, and it was known as the Knucklehead. As technology progressed, the next revolution in engine development was introduced in 1966, and as retronym’s have their way it was quickly labeled the Shovelhead. The name was derived from the appearance of the rocker box covers that bring to mind the head of coal shovels when inverted. A solid engine, the Shovelhead was made for almost 20-years, until 1985. This Vietnam era engine was well known by returning veterans, and is celebrated with this T-Shirt. This depiction is full-sized with the retronym "SHOVELHEAD" across the top in bold block print. 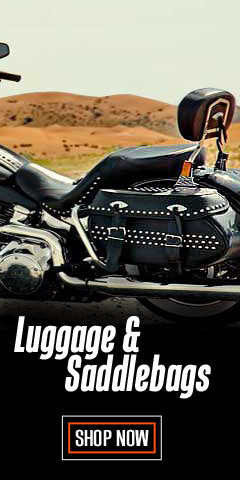 The engine is supported in the graphic with an iconic Harley-Davidson® Bar & Shield® logo. 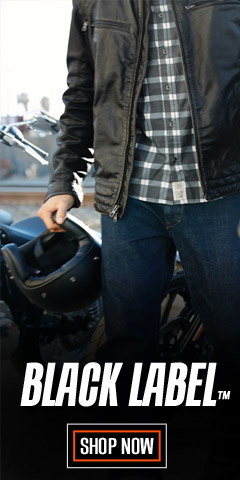 Turn the tee around and you’ll find a classic full-size Wisconsin Harley-Davidson®, Oconomowoc, WI dealership graphic. 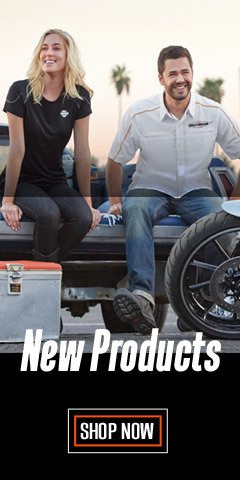 Wisconsin Harley-Davidson® is one of the largest Harley® dealerships in the USA. It's located 30-minutes west of Milwaukee and is nestled in the heart of Wisconsin's "Lake Country," surrounded by crystal clear lakes and the Kettle Moraine State Forest. This crewneck t-shirt is made by Bravado, respected for their high quality and great workmanship. It has a regular fit, is of medium weight, and is made with 100% cotton. Sizes available range from Small to 5XL. 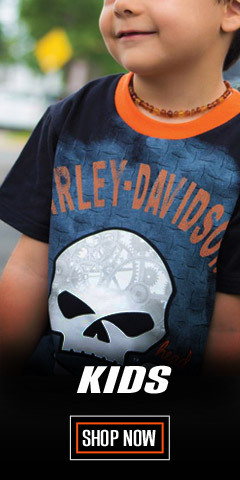 Harley-Davidson® Men's Shovelhead Short Sleeve Tee Shirt , 30294026. Made by Bravado with Wisconsin Harley-Davidson® logo graphics, under Harley-Davidson® and Wisconsin Harley-Davidson® License. Excellent Engine Style Tee Shirts, Couldn't be happier, beautiful high quality heavy duty "Dealer Tee's" . Harley had the best idea going designing these shirts. 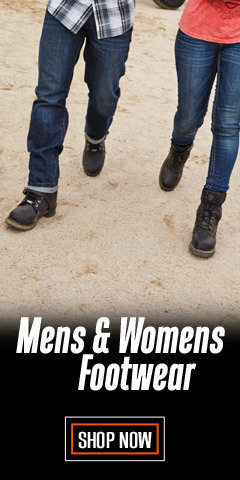 Too bad the " PANHEAD shirts " are no longer offered. Us older sprocket heads used to worship the early style engines, always a good subject for memories, and laughs. Hard to find any thing shovelhead bought two. 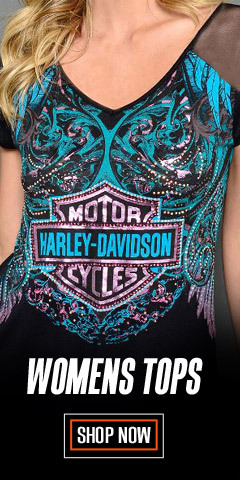 Cool shirt, they need to make more t-shirts with the all the Harley engines ever made. I have a very beautiful (all original & chromed classic) 1979 Harley shovel head. I LOVE this bike. Been looking for a tee like this. Had to get the tee shirt! !